One of the things you need to be concerned about whenever you use heavy equipment to build a pipeline or complete another big project is preserving the surface that you work on during it. Dragline and digging mats make this possible by sitting on top of the ground and preventing your equipment from doing extensive damage to it. 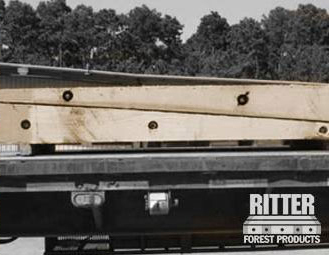 At Ritter Forest Products, we carry hardwood timber mats that are 8” thick, 4’ wide, and 16’ to 24’ long so that you can protect the ground and operate your equipment more easily as you go about your business. Our mats even have cable or exposed bolts that will help you lift them and move them around so that you can work as efficiently as possible. If you are in the middle of planning out a large project involving the use of heavy equipment, you should strongly consider either renting or buying dragline and digging mats. 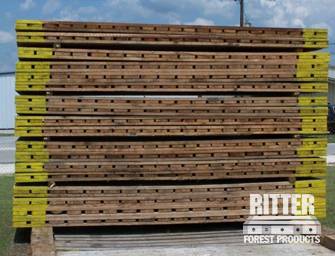 Ritter Forest Products has plenty of them in stock at the moment, and when you utilize our hardwood timber mats, you will see just how effective they can be. They will stop excavators, off road equipment, and more from getting stuck in the mud, and they will also prevent them from damaging the ground. 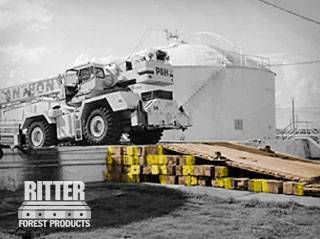 They are the perfect solution for any company trying to finish a project with track equipment. 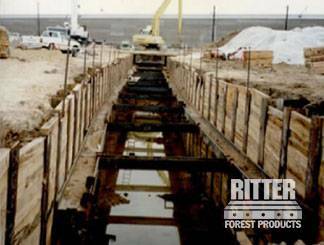 There are so many different ways that you can use the dragline and digging mats from Ritter Forest Products on your job site. We have been helping companies get their hands on hardwood timber mats for years now, and we are confident that you will find them to be helpful once you put them to good use. Take a look at some of the ways our customers have used dragline and digging mats in the past. Do you believe your company could benefit from using the hardwood timber mats we have in stock? Let us know by calling us today and we will set you up with the dragging and digging mats you need.